TCFE Creative Media student Thomas Donogher has just returned from a two week trip to Hou, Denmark where he captained the Midlands United club team in the 2018 European Power Chair Football Champions Cup. The team played against other European countries such as France, England, Denmark, Finland and Switzerland. They were placed sixth which was a great achievement from two years ago when they were placed ninth. Thomas is captain of the team and as well as playing with his local club he also has the prestigious position with the Irish team where he competed in the FIPFA 2017 world cup in Florida. Thomas is currently undertaking a full time QQI level 5 award in Creative Media at Templemore College of Further Education. 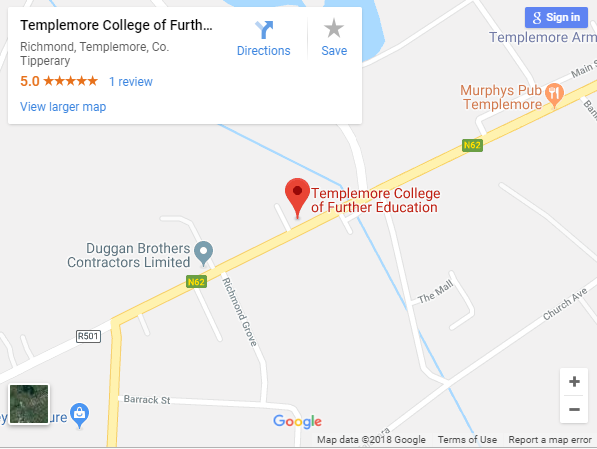 His teachers and fellow classmates at Templemore College are very proud of Thomas’ achievements to date and wish him every success in his future with power chair football. 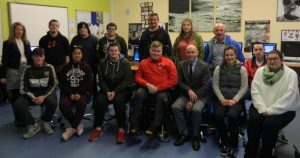 Photo – left to right (back) – Nicola Welford (Creative Media Co-Ordinator TCFE), Kieran O’Dwyer, Michael Corcoran, Jedd Bates, James Davern, Katya Shestavina, Terry Smeaton, Johnny Madden.